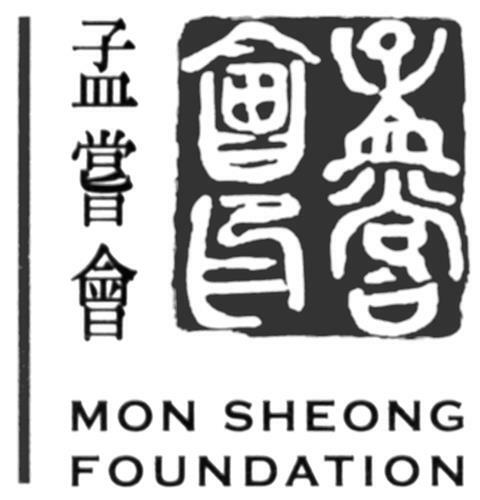 On Thursday, December 4, 2008, a canadian trademark registration was filed for MON SHEONG & DESIGN by Mon Sheong Foundation 11199 Yonge Street, Richmond Hill, ONTARIO, CANADA L4S1L2. The Canadian IP office has given the trademark application number of 1420704. The current status of this trademark filing is Registration published. The correspondent listed for MON SHEONG & DESIGN is CARTERS PROFESSIONAL CORPORATI of 117 Centrepointe Drive, Suite 350, Ottawa, ONTARIO, CANADA K2G5X3 The MON SHEONG & DESIGN trademark is filed in the description of Publications in the field of Chinese culture, heritage, language and philosophy. , Fundraising services. , Educational services, namely, conducting courses of instruction in Math and in the Chinese language; Teaching in the fields of Math and of the Chinese language. , Audio and video cassettes, discs, tapes and recordings in the field of Chinese culture, heritage, language and philosophy. , CDs and DVDs containing audio and video recordings in the field of Chinese culture, heritage, language and philosophy. , Adult daycare services; Adult daycare centres; Nursing care; Nursing homes; Retirement homes. , Charitable services, namely, awarding grants to youths, fundraising, providing health care and social services to youths and seniors. , Organizing community festivals; Organizing exhibitions for or community events for promoting Chinese culture, heritage, language and philosophy. , Operation of a website offering information in the field of Chinese culture, heritage, language and philosophy. .